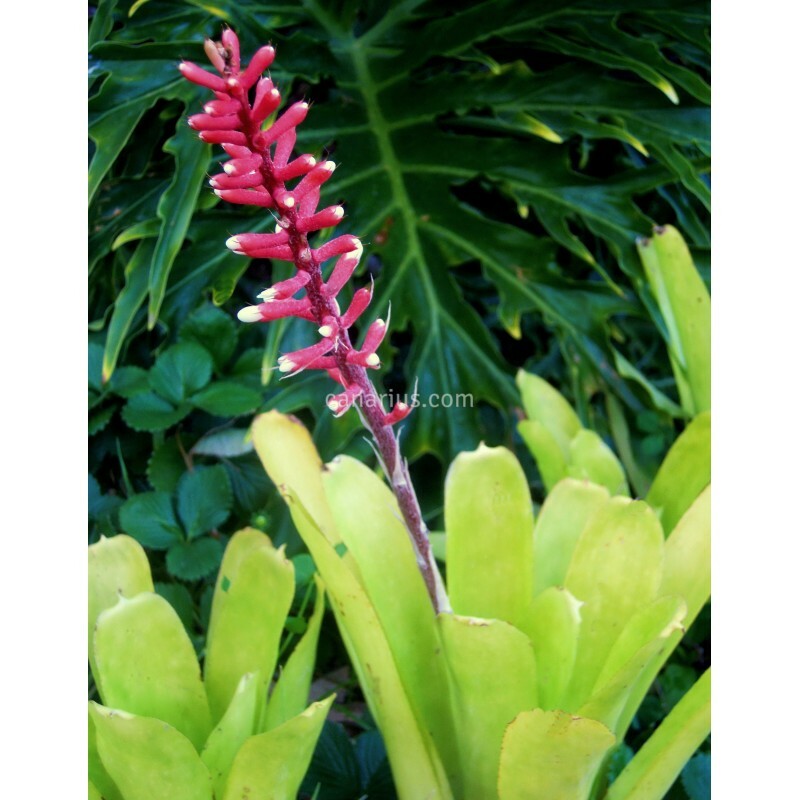 Supreme flowering bromeliad producing showy pink-and-white spikes in February-May. This variety of Aechmea gamosepala was described by Reitz in 1962 from Santa Catarina, in SE Brazi. It is much taller and stouter than the typical Aechmea gamosepala and it grows in similar conditions. It takes short light frosts and can grow outdoors in sheltered areas in the Mediterranean coast. Here in the Canary Islands, this species blooms in February to May. Aechmea gamosepala var. nivea is placed in the Ortgesia group of Aechmea, so flowers are arranged in showy spikes and they start opening in the central part of the inflorescence. Then they progressively open above and below. As in most species of Ortgesia, each flower has a beautiful colour contrast between the calyx and the corolla. Most of the species in this group from SE Brazil, are tolerant of cool weather and some frost. 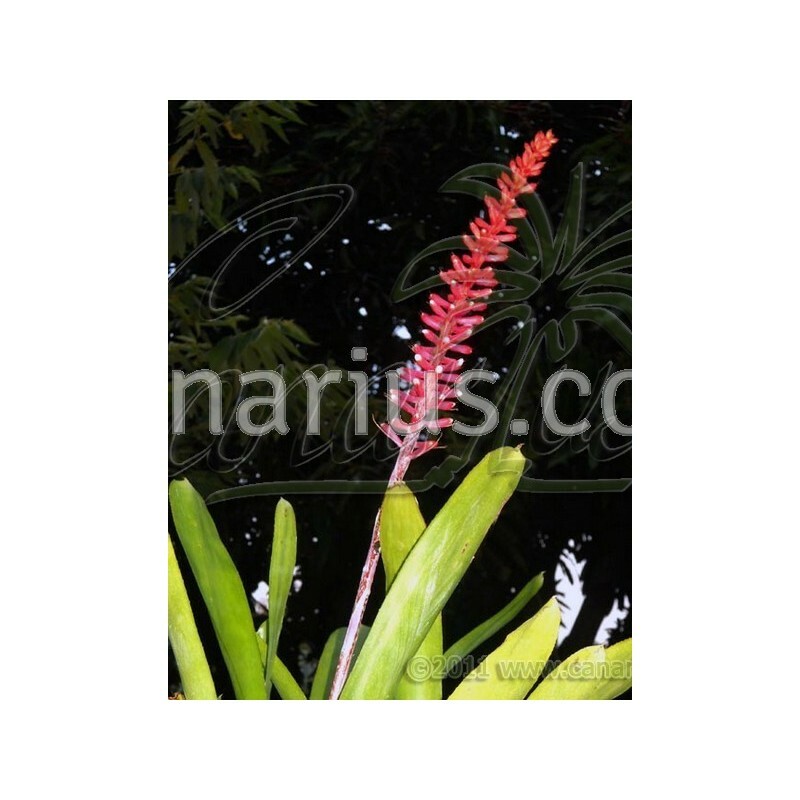 We offer one large rooted pup of Aechmea gamosepala var. nivea, of 15-20 cm, able to flower in one year. We ship it worldwide.